Kronenbourg 1664 brings to urbanites the ultimate avenue for achieving work-life balance as the ‘Taste the French Way of Life’ saga celebrates its finale with Kronenbourg 1664’s Year-end Bash! 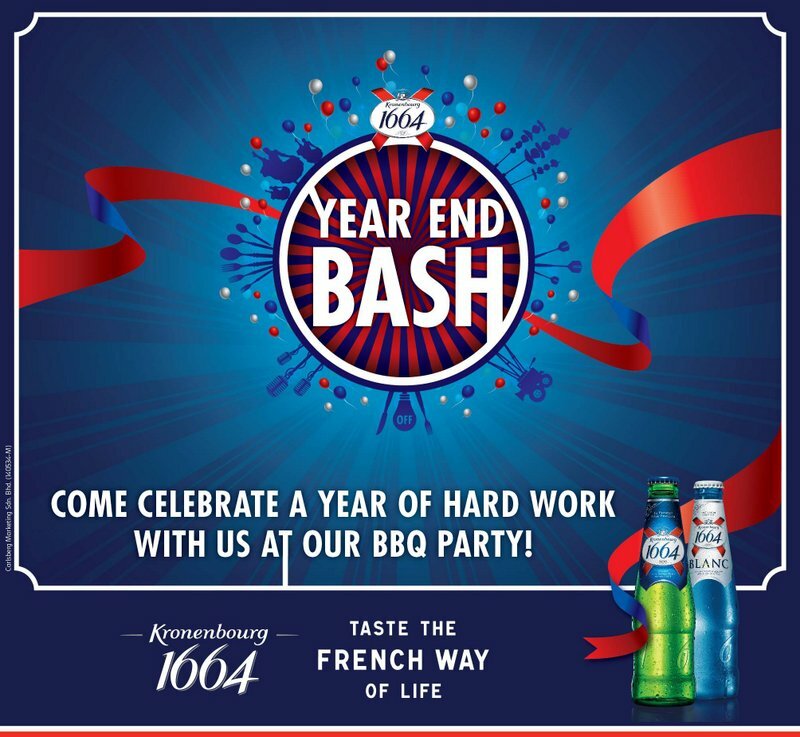 It will be an evening reminiscent of a fun-filled and relaxing neighbourhood get-together on December 4th, 2014 as Kronenbourg 1664’s Year-end Bash brings friends and family together at Oasis Square, Ara Damansara. Following the seven events that the campaign has brought to urbanites, Kronenbourg 1664’s Year-end Bash ensures urbanites begin 2015 with balance in their lives and an appreciation for life’s simple pleasures. For those hardworking Malaysians who did not get to join us throughout the campaign, the Year-end Bash will include little snippets of what the ‘Taste the French Way of Life’ campaign has brought to urbanites. Hardworking Malaysians can enjoy the company of their family and friends with a myriad of delicious barbecued grub and tantalizing delicacies from famous KL Food Trucks to indulge in. Urbanites would also be entertained by the talented theatrics of Broadway Academy and enjoy endless laughter from a comedian known to be a rapid-fire witty joke-telling machine. Of course a night with Kronenbourg 1664 would not be complete unless there are the ultimate stress-relievers. Come hit your stresses away with the Kronenbourg 1664 Hammer Machine and engage in a little friendly competition with darts! After a long year of working hard, urbanites deserve to be rewarded and Kronenbourg 1664 has a special surprise for everyone where prizes could be won! It’ll be a night perfect for creating quality moments with friends by sharing tears of laughter over amazing food, stunning entertainment and fun-filled activities. “Kronenbourg 1664’s Year-end Bash is the ultimate reminder to Malaysians that from time to time, it is good to make time for yourself. Create some quality moments with close friends and family and get that balance back in our lives so that urbanites like us will ring in 2015 rejuvenated, relaxed and raring to take on 2015“, said Kenny Lim Marketing Manager (Premium Brands) of Carlsberg Malaysia. The Year-end Bash is open to everyone and the first 100 urbanites will receive a limited edition Kronenbourg 1664 350th anniversary glass and a bottle of icy-cold beer. So grab your friends and family for an amazing farewell celebration to 2014! This entry was posted in News and tagged french beer, k1664my, kronenbourg, kronenburg, Taste the French Way of Life by TheGoodGoodGuy. Bookmark the permalink.